We've seen a number of apps that add Android Wear compatibility surface over the last several months, from Nest's Smart Thermostat, to Appfour's Documents, travel app TripIt, Microsoft's email app, Outlook, and even a Microsoft Outlook watch face. Slack is one of the market's most growing social media work collaboration apps that is taking off in the space -- and the company is now bringing Android Wear compatibility to its popular service. The company has updated its chat service to version 2.13.0, which brings a host of bug fixes (such as crashes in private channels when users try to leave, having to use "@" to search for a member's name instead of just typing the name, notifications to your channel that would register you as active, and much more. 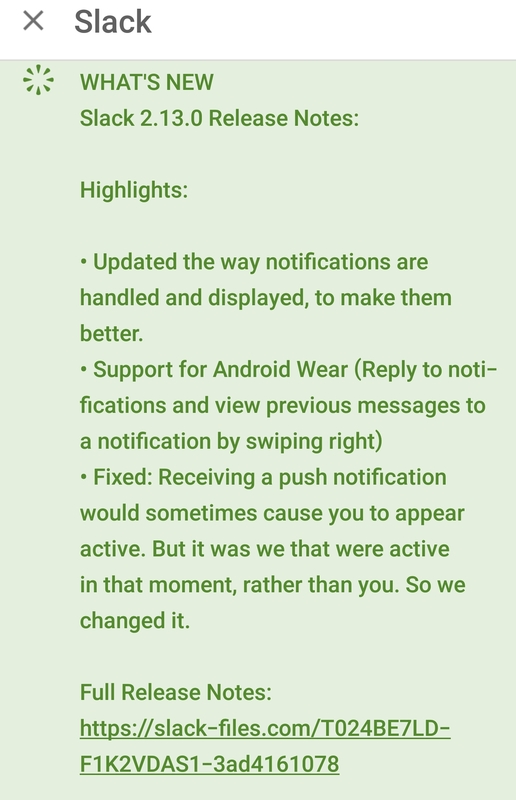 Along the way, Slack has also added integration with Google's wearables platform: "Support for Android Wear (Reply to notifications and view previous messages to a notification by swiping right)," the changelog says. Slack is a group communications app that makes it fun to be a part of a team. There are channel notifications that notify the entire channel of something when you type "@channel," there are various discussion forums you can create within the chatting platform, and so on. Slack even provides some motivational messages that you get each day you log into the work platform app. And, you can take Slack with you. It's not only available on the Web but also your Android smartphones, tablets, and even smartwatches. Slack has some compatibility with Samsung's Gear S2, letting you view messages and swipe to dismiss them. These capabilities are now coming to Android Wear, making it easier than ever to handle messages quickly from the wrist. At this point, we suggest you head on over to the Google Play Store on Android and update your Slack app as soon as you can. Do you use Slack regularly, or are you more into something like Skype? 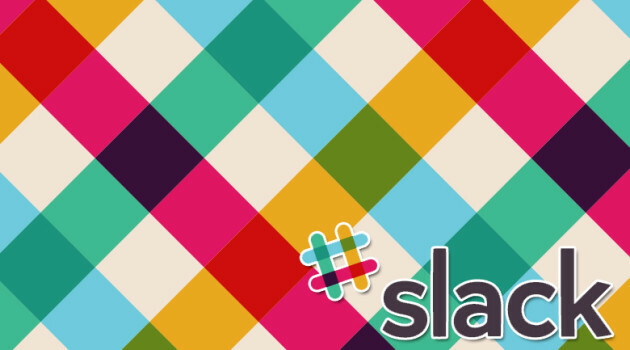 Do you know of any friends who use Slack? What are their impressions of the service?